Grab your galoshes and head straight to the Playhouse for Singin’ in the Rain! The most beloved movie musical of all time takes to the Ogunquit Playhouse stage for a full five weeks. This charming and witty show comes complete with an actual on-stage rain shower! The most popular movie musical ever takes a humorous look at the "birth of the talkies," when the silent era of motion pictures came to an end and movies began to talk. And sing. And dance. 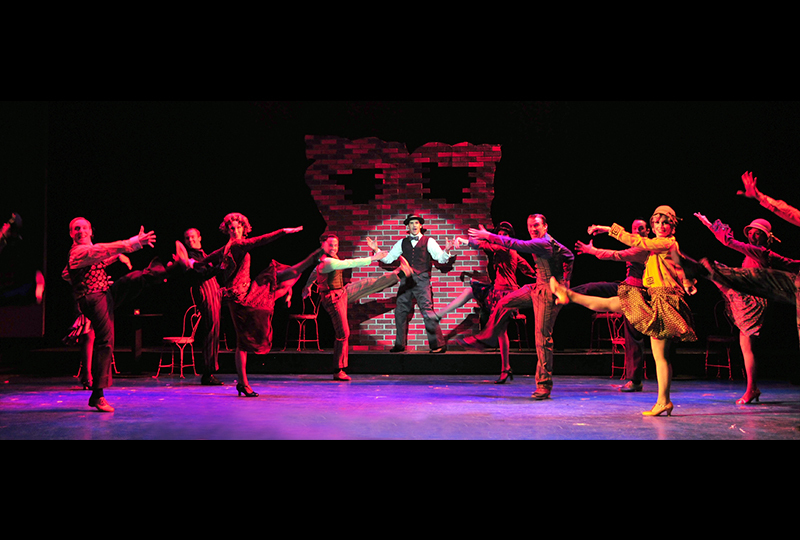 Woven into the show are some of the most memorable musical moments ever captured on film, and the stage production brings all of them to life.